Do you have limited time or no IT staff? We can manage your web presence; set-up email accounts, user access and update website content. We will act as your IT staff on a “pay as you go” service without the overhead of an employee. You don’t even have to have your web-hosting through us, our service fills in where needed. Contact us for a consult and a quotation for your information technology needs. If there is an IT service not listed here or on our services pages, that you want performed, just ask. If we can’t do it, we’ll provide consultation about the resources that can. We have very reasonable rates and are always trying our best to provide economical solutions for our customers. "I didn’t have time to learn how to setup a website at a web-hosting provider; they [Logic Ops, LLC] were able to setup all of the behind the scenes technical stuff for us and got our website and email running." G Suite for Work / Education / Non-profits / Government is an excellent secure communications and collaboration platform. You get a lot of bang for your buck with a myriad of tools for your users and customers. If you don’t have the time or staff to setup and manage the G Suite we can be your “IT Staff” on a pay as you go service. We have many years of experience using cPanel for website hosting and user account administration. If your web hosting company uses cPanel and you need assistance in setting up applications, users, file management, email, etc…we can be your “IT Staff” on a pay as you go service. We use cPanel for our web hosting plans. Sometimes the DNS entries can be tricky with the syntax or knowing what type of record is required for different services. Let us take the guess work out of the task and hire us to setup your DNS configurations with your domain registrar and ISP / web hosting company. 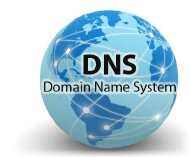 We can even provide assistance to businesses running their own DNS servers.